Eclipses are one of the most fascinating natural astronomical events that can happen in the sky. 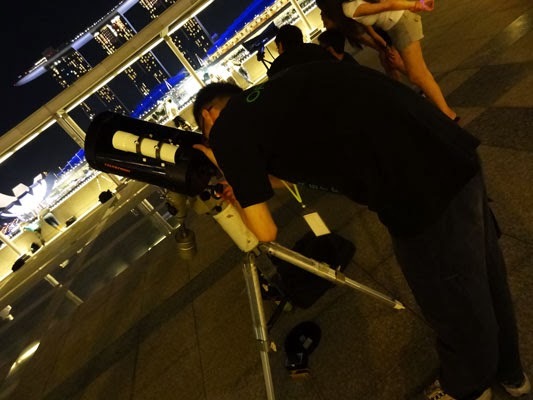 Eclipses in general are considered occasional events and to have them happen locally here in Singapore, especially during the evening are considered a rarity! The total lunar eclipse occurred on December 10th when the moon passed through the earths shadow and this can only happen at a full moon. 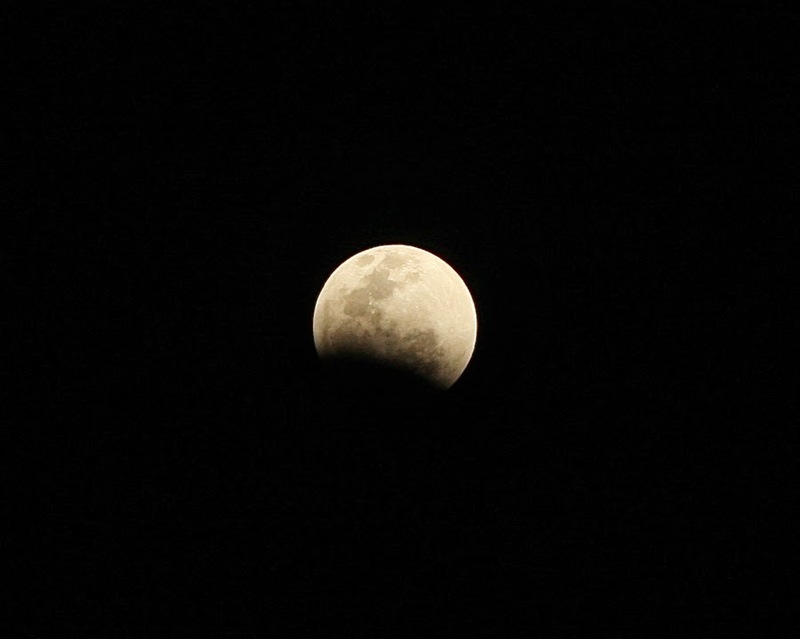 This eclipse was expected to be most dramatic in East Asia, Australasia and the western Pacific. 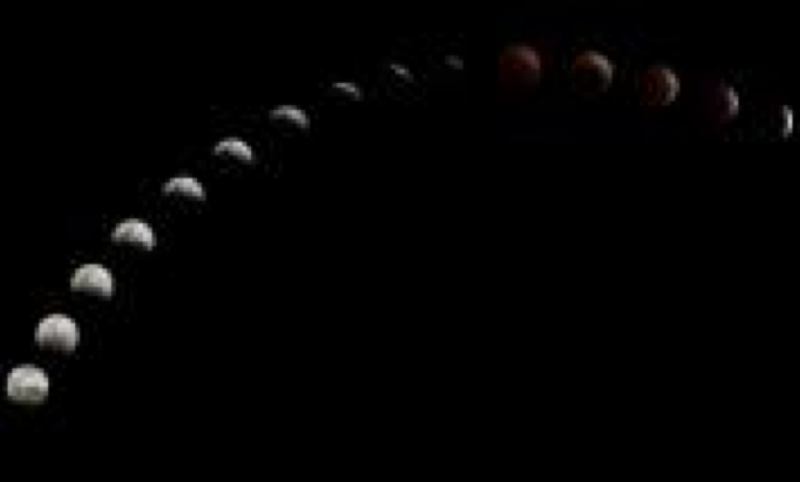 All stages of the total eclipse were visible from New Zealand and Australia, but the best views were seen from the northern hemisphere, Japan and east Asia where the Moon was higher. Many members of SingAstro were on hand along the promenade at Marina Bay to help and advise members of the public and for them to view the eclipse through the massive telescopes they had set up along the promenade. It was exciting for everyone who participated and not over crowded as I thought it may have been. 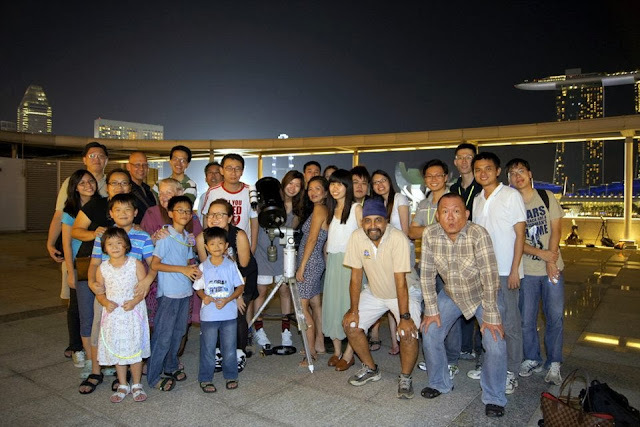 the above image of us all was taken by Darren Chin. 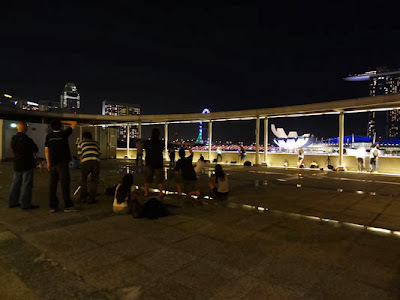 above image shows all of us on the rooftop of One Fullerton. the above image was taken by John Fabre from his IPhone of Andrew J K Tans Camera as it captured one of the images of the eclipse! 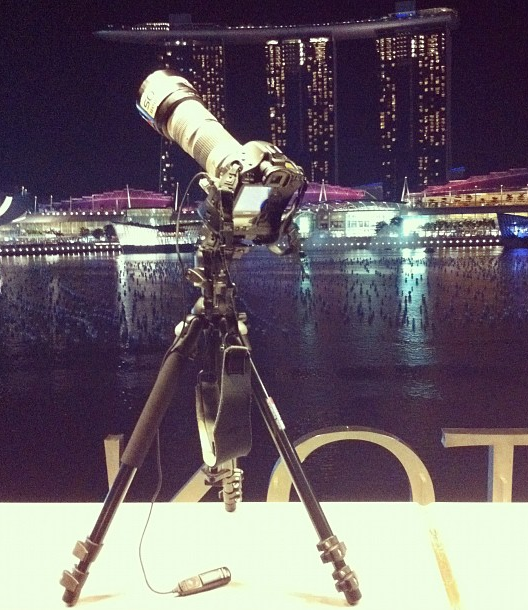 the above image was taken by Tan Geng Hui of his tripod and camera set up on the rooftop of One Fullerton! The next (total) lunar eclipse won't be visible in Singapore until 2014. We were very lucky to receive the invite to view this 'astronomical event' on the roof top of One Fullerton and for that we thank SingAstro, Belinda Tan, Julia Tan, the URA and One Fullerton. 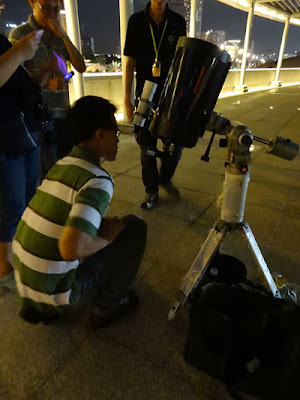 If you are in Singapore and have an interest in Astronomy, do contact CAROLE AW at SingAstro. Great to catch up with you folks at One Fullerton!! 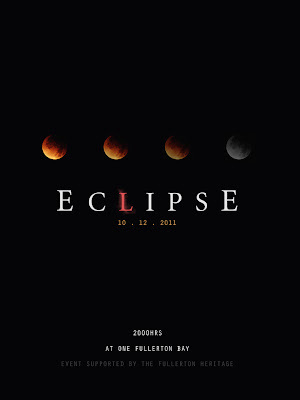 We all definitely had fun photographing the Total Lunar Eclipse on that night, as well as chatting ourselves away!! Thanks for featuring my photos!! Appreciate it lots!! 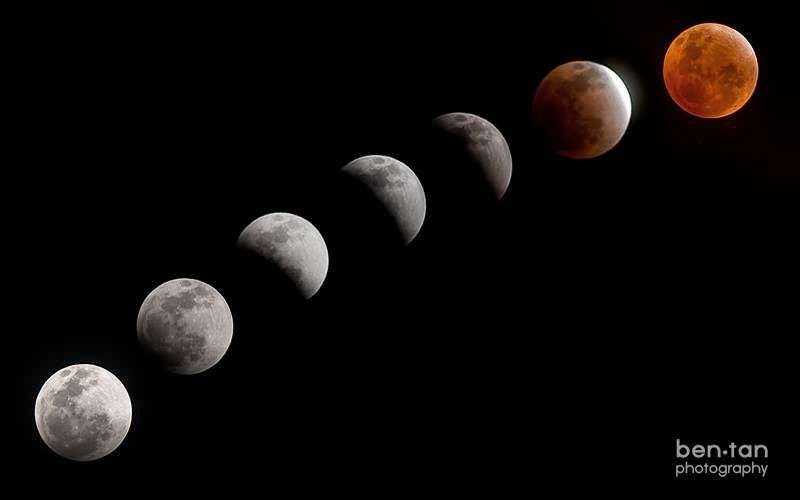 Is it possible to get a hi-res file of the moon image? 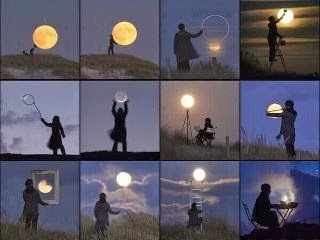 The one where the folks are 'posing with the moon'? Is this file for sale somewhere?